deduce that the object was more likely a rocky asteroid than an icy comet. 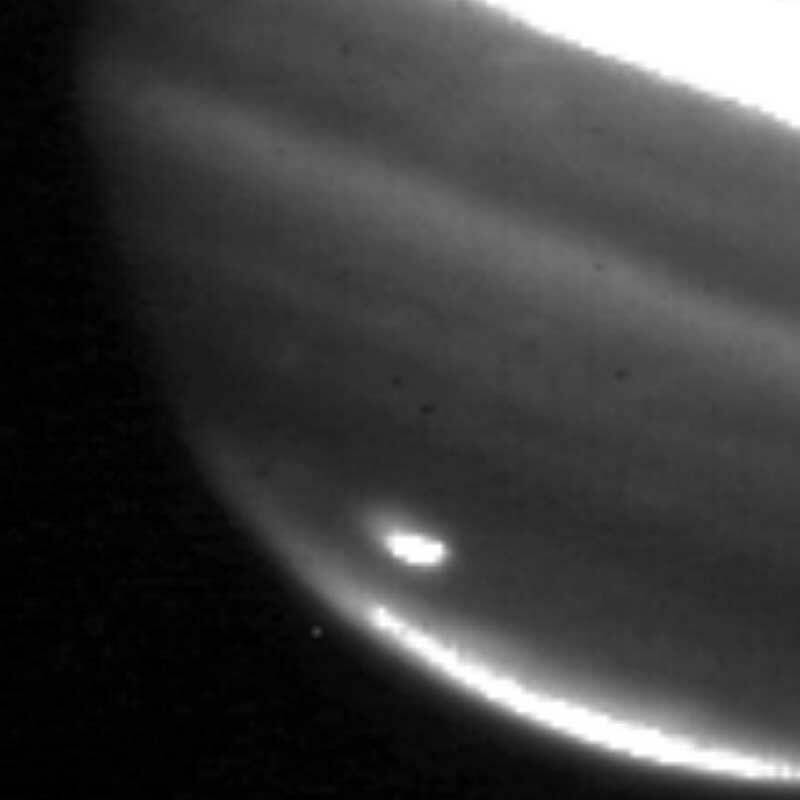 itself into Jupiter’s atmosphere in 1994.
intervals during the week following the 2009 collision. spread over such an enormous area. provide strong evidence for a water-depleted impactor in 2009." catalog of known asteroids and comets to find the kinds of objects in these orbits. population of asteroids in this category." The infrared image below showing thermal radiation at a wavelength of 9.7 microns, was obtained by the Gemini North Telescope in Hawaii. The image shows the aftermath of an impactor hitting Jupiter on July 19, 2009. The area of impact can be seen as the bright white and yellow features at the bottom of this image. An inset shows the impact area in more detail. The image was taken on July 22, 2009, three days after the impact. White and yellow indicate hot temperatures and the presence of hot ammonia upwelling from deep in Jupiter's atmosphere. 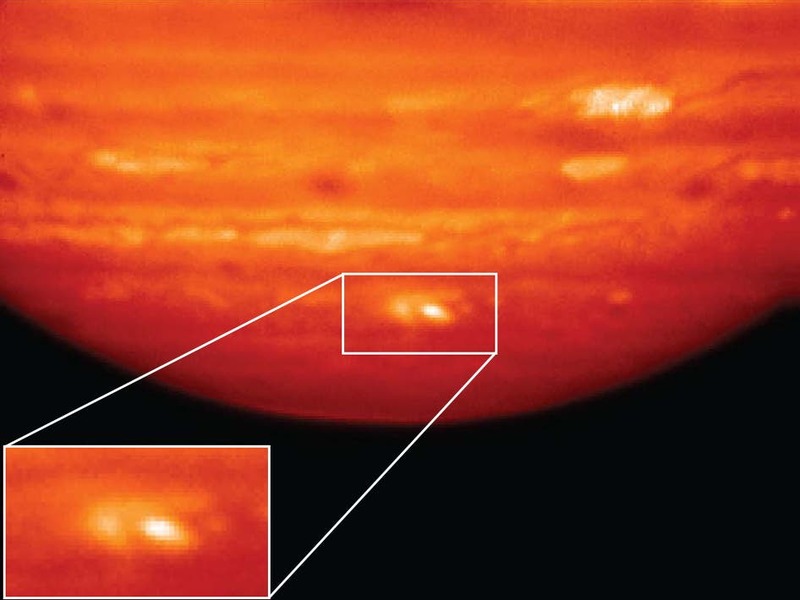 Infrared images like this, along with measurements of light intensity at different wavelengths to look for the unique signatures of different materials that were obtained by the Gemini South Telescope in Chile, strongly suggest to scientists that a rocky body slammed into the Jovian atmosphere. That body was likely an asteroid and not a comet.